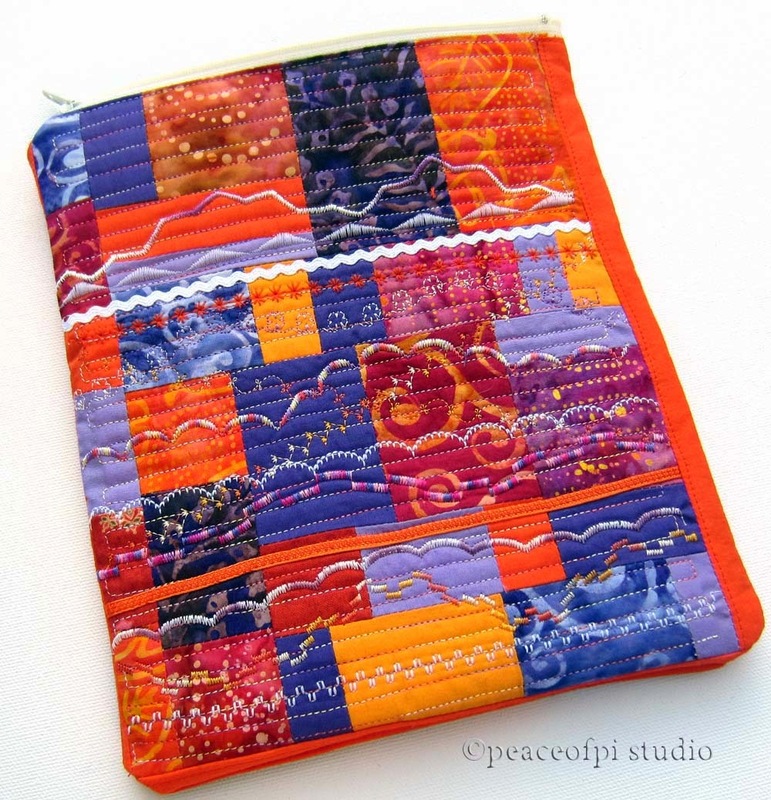 Custom made by special request, this ipad sleeve features patchwork in purple and orange. After creating the patchwork, quilting and top stitching with lots of color was added. The meandering decorative stitches add a bit of fun to an already bright piece. To make the case functional, it has extra layers of protective padding added. A top zipper keeps the ipad safely inside while not in use. As a walking quilt disguised as a sleeve, it's sure to add a touch of bold and bright wherever it goes. Make your own quilted sleeve with ideas and instruction in Lovely Little Patchwork by Kerri Horsley. Suitable for all sewists from beginner to advanced, this delightful book has 18 projects. Full of ideas, the inspiring photos have a modern vintage feel. 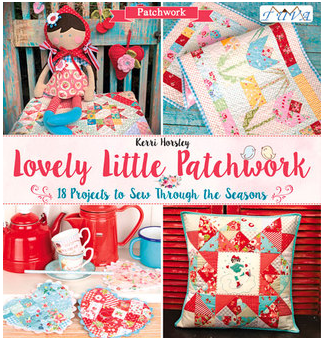 Check out Lovely Little Patchwork and get some patchwork happy!